What do you use...Jax Hopkinson? 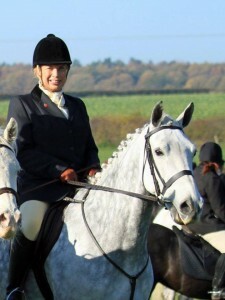 Willow is 9, Welsh X Irish Sports Horse. I bought her August 1st last year knowing she had some health issues. She had been coughing and lethargic, and had the odd bout of colic. Her previous owner spent a lot of money having tests done which diagnosed her as being intolerant to soya (found in nearly everything ) beet, carrots, certain grasses, docks, nettles, molasses. She wasn’t asking much for her, I rang her vet and checked out her history and decided to take a chance on her. 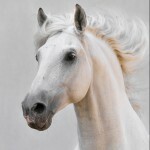 Through careful management of her diet, avoiding problem foods and keeping her on Equimins Advance Complete, I have had no health issues at all. 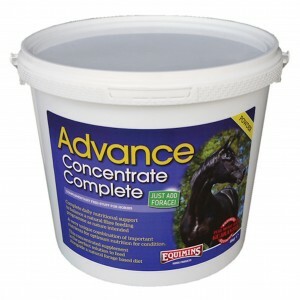 The Advance Concentrate Complete keeps her in tip top condition ensuring she receives all the vits/minerals she needs to keep her immune system working, and the high levels of saccharomyces cerivisae ensure her digestive system functions well and doesn’t colic. I’m not sure what brought the intolerances on, but thankfully, she’s been absolutely fine, so fit and well we have been able to go hunting/Bloodhounding with The Readyfields, which is a long day and hard work. Willow loves it! This summer we will be out competing at dressage, which is my favourite discipline, and also hope to do some showing and Working Hunter classes. Not only is she beautiful but she can really move and jump too! Willow and I have had so much fun already and so much more to look forward to. A big thank you to Jax for sharing her story and sending us these lovely pictures of Willow.